The dust is not likely to settle over the legacy of former Prime Minister Margaret Thatcher until well after her funeral has passed into memory. For a coalition Government languishing in the doldrums of public affection, her death has focused minds on rehabilitating her record in office, knowing that her successful reputation is becoming paramount in shoring up their own current political narrative. The none-too-subtle sense that the right-wing media is reframing political history around our ears, lionising her achievements and trying to convince us that she defined a new consensus is hard to avoid. Opposition parties have an incredibly difficult time in positioning themselves in relation to a public figure whom remains as divisive and politically explosive in death as she was at the height of her political career. Ed Miliband felt generous yet critical in his tribute in Parliament, but we do run the risk that frank debate from her opponents is censored out of fear that it is deemed disrespectful, replaced instead either by partisan cheerleaders or extreme opposing viewpoints which can be easily dismissed. 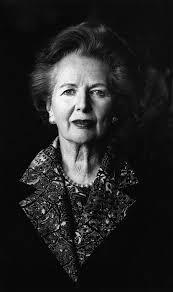 We must ensure that an even-handed account of Thatcherism is heard. Unsurprisingly, there has been a very negative and gleeful response on social media to Thatcher’s death. Although it filtered occasionally into view on my Facebook feed, I knew I had to consciously turn off Twitter until the worst of the triumphalism had passed from the many left-leaning users I follow (and generally rate). Living in Brixton, I also witnessed the now infamous party celebrating her death in Windrush Square as I walked home from work and found myself uneasy at why opposition to her record needed to be so sour, without political nuance and troublingly sexist. As somebody who comes from a working class background in the North-East, one of the regions who found their economy decimated by her actions, I have always remained instinctively critical of the way in which she divorced political decision-making from our shared humanity. Even as a child, I felt the cold chill of her policies ripple through my community, subtly picking up the alienating tone of politics during that time. In many ways, the attraction that the participatory approach that Greens take to political activism has always held for me is a direct result of witnessing the impact the alternative approach can have in driving optimism and consensus out of public debate. Yet it is many of my respected colleagues within the Green Party that I see making aggressive and sometimes violent comment about the passing of our former Prime Minister. For the vast majority of apolitical British voters, the lack of common decency in responding to the death of an unwell, elderly woman and the ability to disagree strenuously without becoming needlessly unpleasant are reasons why they remain suspicious and dislike much of the political left. For me, reactions such as these make it more imperative than ever to engage critically with the legacy of Mrs Thatcher’s eleven years in office. For a committed Methodist, her government paradoxically promoted individualism and personal greed, presiding over a moral devaluation of public life. The poisonous effect this has had upon political debate is being reaped in spades in the modern 24/7 media world. By callously descending to the gutter in how we respond to her death, we risk becoming further evidence of the coarsening effect on political discourse that her time in office represented. But whether you like it or not. The non-violent disrespect being shown has opened up space for Thatcher’s negative legacy to be heard. They can’t whitewash “ding dong the witch is dead” so easily from history. It is useful and in my mind justified precisely for this reason.